Bruce's newest novel is now available from HEART BIRD BOOKS! To order THANKS FOR BREAKFAST click HERE! could be the story's character, Dennis Giddings! Estes Park, Colorado, 1983: Magick is alive and well in this real-life Shangri-La where a bohemian underground thrives. Kitty Mar and Jimmy Thunder share a special relationship, which is challenged when she meets a Tantrick Cowboy from Texas. A handsome young auto-mechanic named Lance lusts after Beth Gardens, a beauty scarcely old enough to be legal. 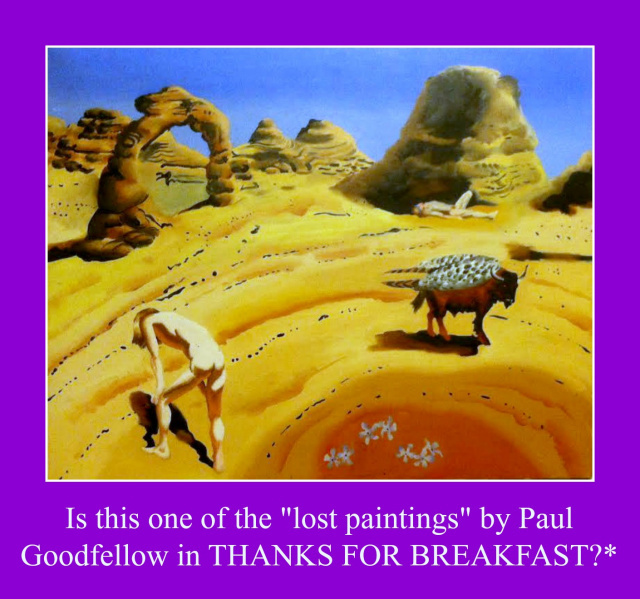 A young artist named Paul Goodfellow encounters the Great God Pan, and feels attracted to Dennis Giddings, a sanitation engineer, but he is too uncertain to make his feelings known. The long-empty family home of Jimmy is clearly occupied—the question is, by whom, or what? All of these happenings are intimately connected—but how? In this tale of what the author calls “Rocky Mountain Magickal Realism,” the author returns to his personal roots. 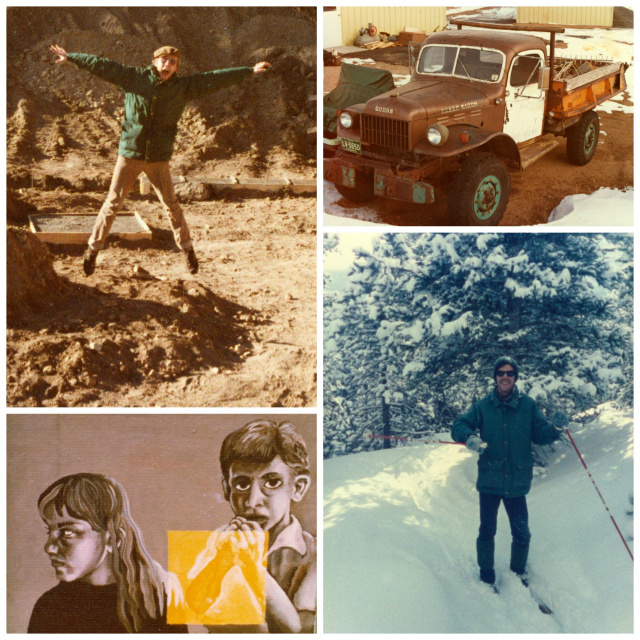 Clockwise from upper left: the author midair in Estes Park, around the time he wrote the novel; a Dodge Power Wagon similar to that driven by Jimmy Thunder in THANKS FOR BREAKFAST; the author on cross-country skis near Bear Lake, early 1980s; one of the author's dozens of lost paintings mentioned in the novel. 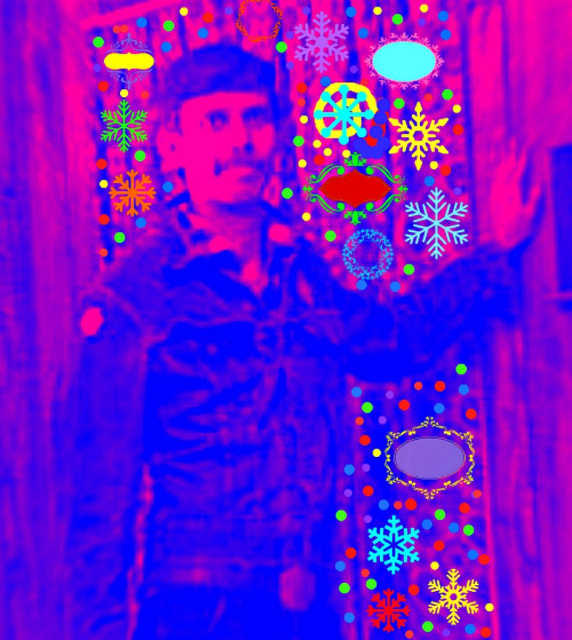 Trippy "Paul Goodfellow" inside the actual Elkhorn Lodge apartment, Circa. 1983. *Actually it's a painting by Bruce P. Grether, and not long-lost, though I had not seen it again many years until recently. 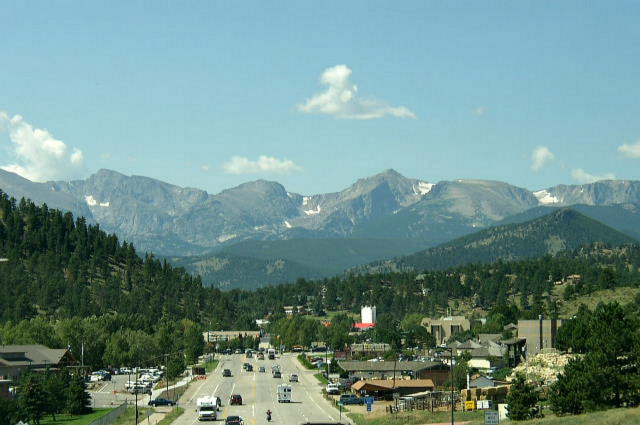 A few events in the novel resemble my life in Estes Park in the early 1980s, but not many or much… it's primarily a fantasy inspired by the location where I lived. 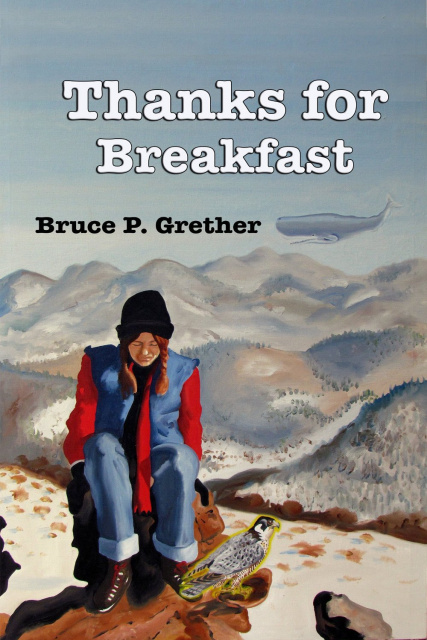 BRUCE P. GRETHER lived in Estes Park, Colorado, during the1970s and ’80s.